We support classroom environmental educations sessions, assist with school garden developments and accompany field excursions to local reserves and National Parks where the students undertake volunteer projects, assisting the Park Rangers. WILDCARE Inc, in partnership with Parks and Wildlife Service, trains members to support the WILDSC’OOL program in schools in the North West and South of the State. 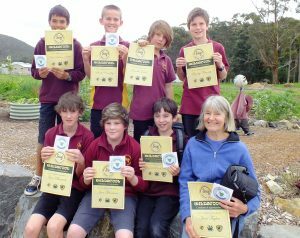 Volunteers support classroom environmental educations sessions, assist with school garden developments and accompany field excursions to local reserves and National Parks where the students undertake volunteer projects, assisting the Park Rangers. Following training, WILDCARE inc volunteers commit to a minimum of 50 hours each year in support of their partner WILDSC’OOL.